When we think of North Bengal, the first thing that comes to mind is “summer holiday”. In fact, almost everyone from Kolkata and nearby areas migrate to Darjeeling and Sikkim during the summer. However, when it comes to monsoon, no one thinks about coming here. True, travelling to hills during this season can be a problem with frequent landslides and closed road; but if you do visit the place during monsoon, you can’t help but fall in love with the region all over again! Truly, you have not seen the true North Bengal, unless you visit her in monsoon. Now let’s see how you can enjoy your monsoon holiday in North Bengal. 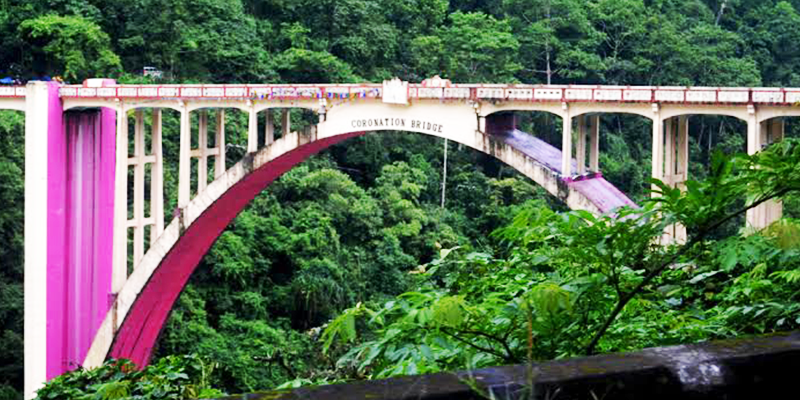 Coronation bridge: One of the must-visit points on your monsoon trip to North Bengal, this British-made bridge over Teesta river is a sight to behold. 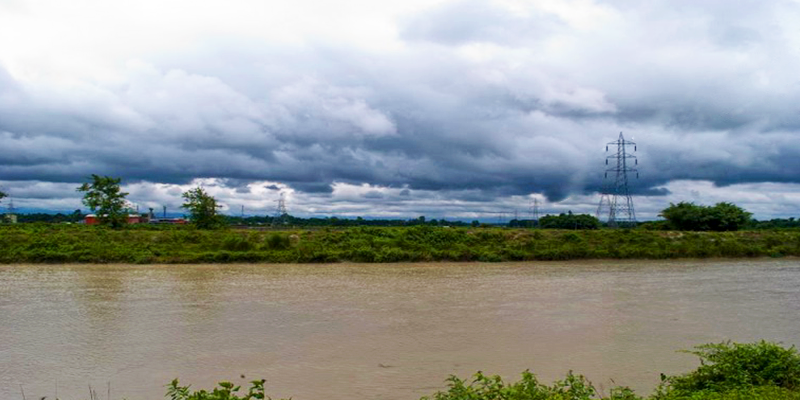 The river Teesta will be in its full glory; and though there are roads to go to the river bank near the bridge, it is never advisable to do so during the monsoons. The river is at its full strength during monsoon and the currents will be strong even in places that look deceptively shallow. So, admire its beauty from the equally beautiful Coronation bridge. There is a famous Sevakeshwari temple nearby; so visit it if you are in for a spiritual tour. 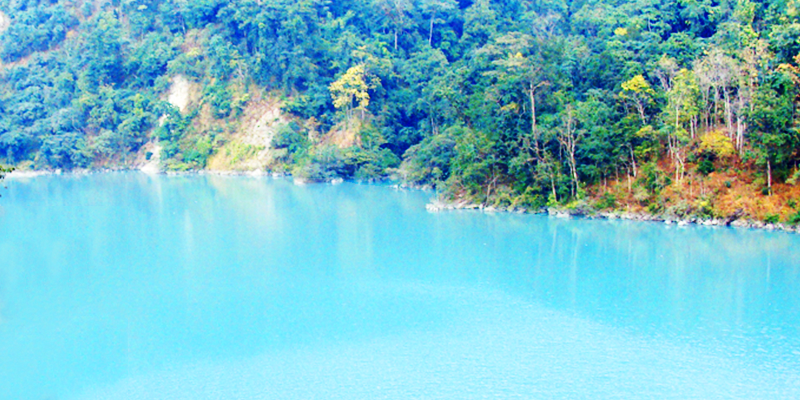 Gajoldoba: Head to Gajoldoba, situated near Teesta barrage. The barrage which diverts the water of Teesta (before she enters Bangladesh) is another beautiful spot to visit during the monsoon. The drive to the canal is also very good; lying on the other side of canal is forest area and if you are lucky, you may have glimpse of some wild animals too. The barrage is also at its full capacity during this time and quite beautiful to behold. 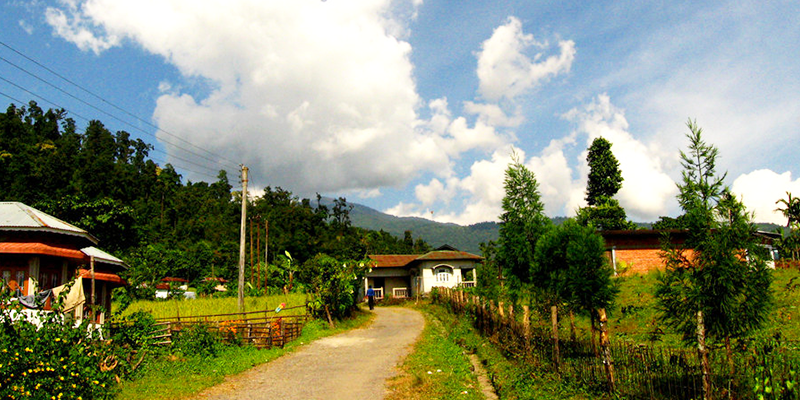 Samsing/Suntaleykhola: Apart from these places, there are some great places to visit in the hills. The view you get from the hills, as the rains lash the lands below, is breathtakingly beautiful. But before you head to Samsing or Suntaleykhola always ask the locals about road condition and keep a day in hand between getting down from the hills and catching your train (due to chances of heavy showers). A visit to these hill destinations during the monsoons is filled with great rewards and an experience of a lifetime. The rains in hills are so different than in the plains; you can see the clouds raining in one place while you stay dry or see your surroundings get covered in cloud as they drift upwards. Dudhia: A little further, but worth visiting is Dudhia on the way to Darjeeling via Mirik-Darjeeling road. This army firing range is situated beside Balason River and if it is not in use, there is no restriction on entering the ground. The river is milky white in colour as it bounces and gushes over stones and boulders; the currents are very strong during monsoon. So, take the photo of the mountain (at the source of the river) and sit on the boulders on the banks, but refrain from getting down to the river. There is Gokul Wayside Inn, run by GTA, for having a nice cup of tea. They also make fantastic Pakoras and while munching these delicacies sit on the terrace and enjoy the rains. By Train: Nearest railhead is at New Jalpaiguri. One can hire taxis or shared cabs to reach the destination. 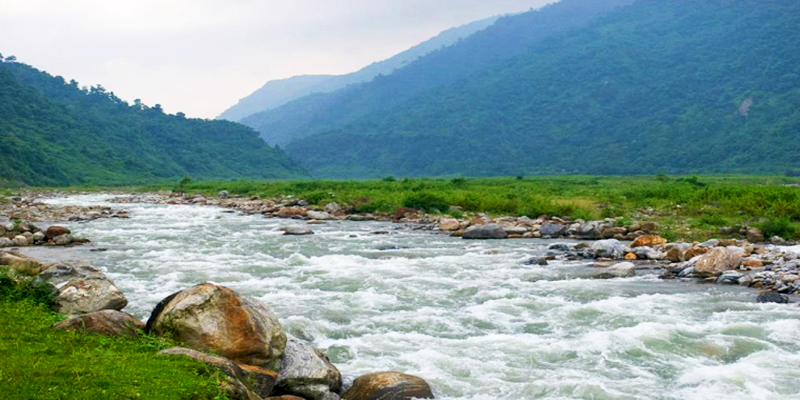 So visit the beautiful North Bengal at least once during monsoon. You will never think of coming here anytime else! 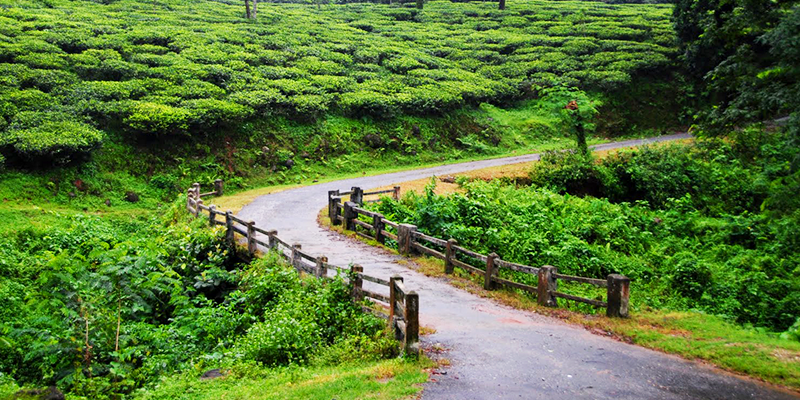 5 Scenic North Bengal trips which are best enjoyed from a cab backseat! Wonderful. May please like to know more in details about accommodation etc. We have added the Hotel Booking feature in the latest version of our app. Please upgrade the app to get the Hotel listings for your destination of choice. If u want to visit north Bengal .so you must come before winter season like August or September month’s. During this month north Bengal is full of sweetness nature . Thank you for providing such useful information, very good article, keep providing such articles.